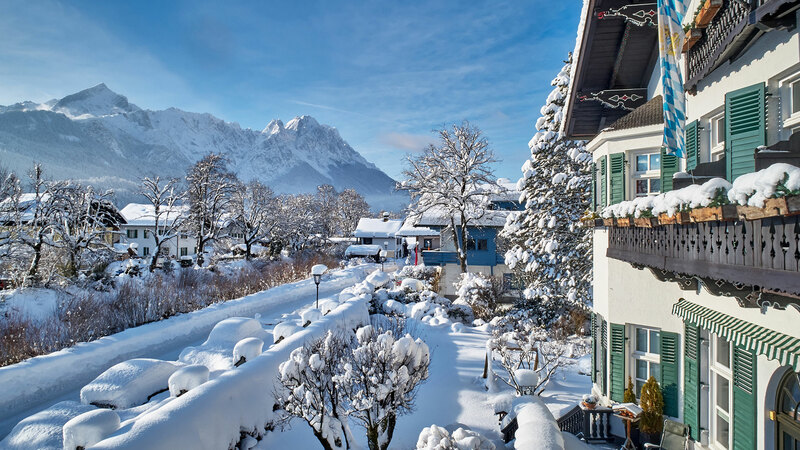 Hotel Aschenbrenner in Garmisch-Partenkirchen at the foot of the Zugspitze with an incomparable panoramic view of the mountains. 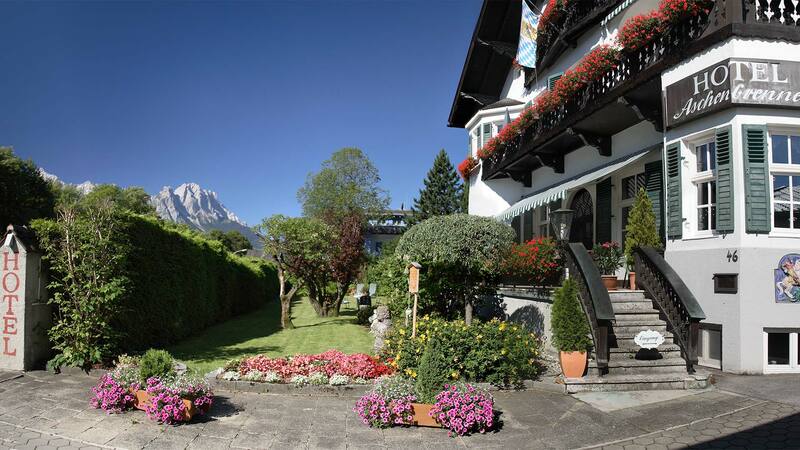 This villa is a charming & privately run 3-star hotel and is located close to the centre of Garmisch. The spa gardens, congress centre, casino, and pedestrian zone are only a few minutes’ walk away. Hiking trails also start very close to the hotel and the ski areas and ski jump can be reached within a very short time by car or local bus. In an idyllic location, directly on the Loisach, guests stay in stylish ambiance. 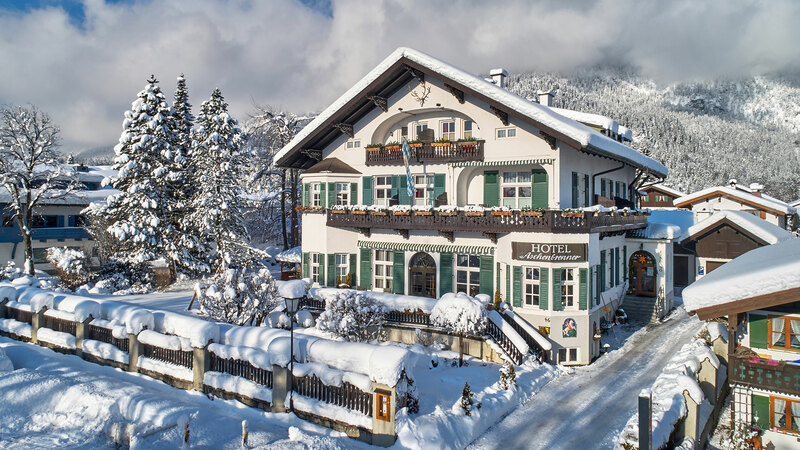 The 23 lovingly designed rooms are a good starting point for an eventful holiday under the Alpspitze and the sun terrace provides a wonderful mountain view during breakfast. 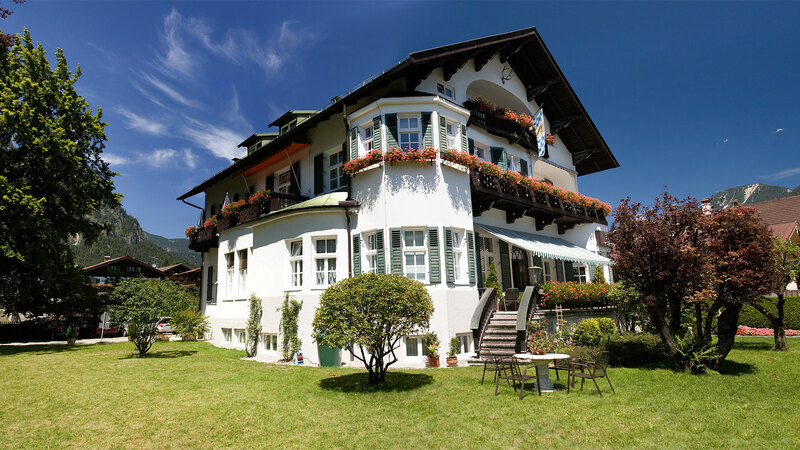 In the area around Garmisch-Partenkirchen, there are numerous worthwhile excursion destinations, for example the royal castles of Ludwig II, Neuschwanstein, and Linderhof, and additionally Munich and Innsbruck, Tyrol are easily accessible. Our current room prices and offers. Whether for a short trip or a longer stay – you’ll find what you are looking for here. Different room types for your requirements. Single room, double room, princes’ room. Do you want more space and your own kitchen? Then you will find your holiday apartment here. You can see the available times in our booking calendar here. 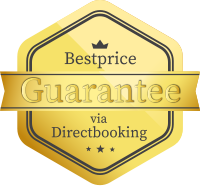 Best-Price Guarantee when booking directly via our website!